This is a sponsored conversation written by me on behalf of Real Simple®. The opinions and text are all mine. One of my overarching goals for 2017 was to make it a less stressful year than 2016. Last year it seemed as though every week was overflowing with commitments, deadlines, rushed trips here and there and too little sleep. Coupled with all of this there was also very little “me time”. Well 2017 is a new year, and I plan to carve out a little bit of time each week. With time to myself I am able to take a step back and look at things with a fresh perspective. From home to health and even introspective stuff like relationships and happiness… it’s important to always keep assessing and improving, and I’ve found that unless I make time for myself, it just won’t happen. I recently saw an interview with the legendary music producer Quincy Jones and he said that his biggest two pieces of advice are 1. Know Yourself and 2. Love Yourself. That quote really stuck with me and I’m trying to push ahead with both, and especially during the winter months I love to relax and take it in a magazine to draw inspiration. 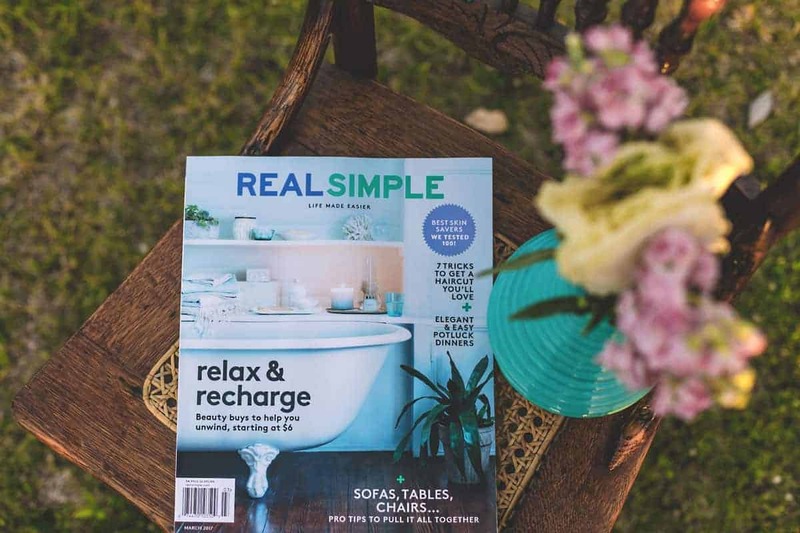 Doing it from a trusted resource makes a world of difference, and a great one I’d recommend is Real Simple magazine. The magazine is brimming with articles that I really want to read (whereas others may have only one or two articles of interest). One specific piece in a recent article was about getting the perfect haircut and coloring. The varying quality of haircuts and coloring jobs that I’ve gotten over the years is extreme. Sometimes even with the same stylist, it can be great one time but less than desirable the next. This article gives advice on how you can take control and play a big part even though you’re not the one with the scissors. Such good advice, and something I’m actually going to apply the next time I go in for a color and cut! 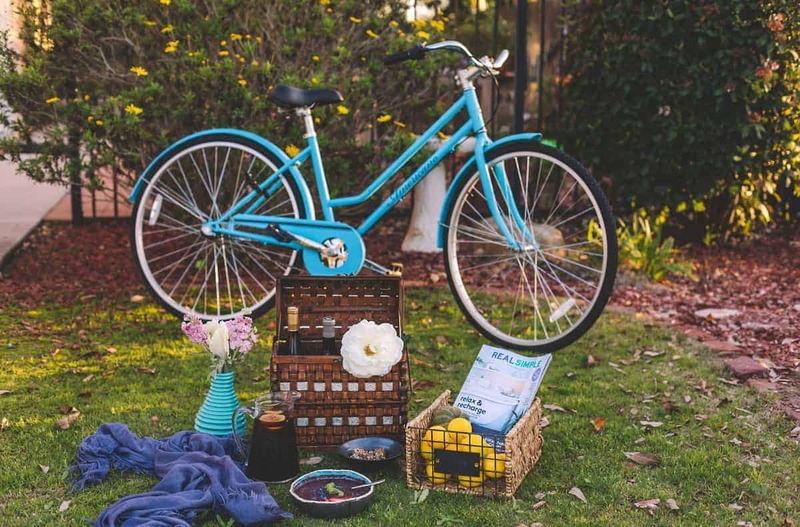 If I look at the rest of that issue, the content spans from home products to help relax at home, how to style your resume, fashion tips, relationship advice, and even recipes. Each piece has substance yet is fun to read. I appreciate the variety too, as it makes it easier to read through the whole thing when each article is varied and relates to a different part of my life. There’s a good mix of short but fun one-page articles as well: book reviews, gadgets, and cool unexpected things like “new uses for Lego blocks” (the Lego phone charging station they built is genius). Another thing I love about Real Simple magazine are the photos and styling. They are bright, inviting, and are themselves inspiring. Nothing gets me thinking about how to style my living room better than seeing a gorgeous living room with cool furniture and accents. I instantly get my mind on my own style when I see a hot dress and handbag. For additional inspiration on how to relax and unwind with ‘me time’ you can pick up PEOPLE®, StyleWatch® and InStyle®. So don’t forget to award yourself with me time! Maybe it’s a bubble bath on a Sunday night, or possibly a 20 minute stroll around the block on your break at work, just long enough to collect your thoughts and recharge yourself. Hopefully it’s in a place where you can block out the world for a bit. My sanctuary for me time has changed drastically over the years, from a treadmill at the gym where I’d put on my headphones and zone out to my favorite magazines for a while, to a morning in the backyard (preferably early and before the rest of the family wakes up). I picked up my Real Simple magazine at Albertson’s. You can visit your local participating Safeway, Jewel-Osco, Vons, Pavilions, Tom Thumb, Randall’s, Shaw’s, Star Market, Carr’s or Acme Market to receive $1 J4U/MyMixx offer on PEOPLE, Instyle, StyleWatch, and Real Simple. I love this magazine, not only do they have amazing reads in it but the pictures and ideas are so creative! Never heard of this magazine, do they sell it in the UK? I have seen this magazine on the book shelves in stores and have thumbed through it a time or two. Really never took the time to read an articles. Did notice how great the photograph was, might have to pick up a copy next time. 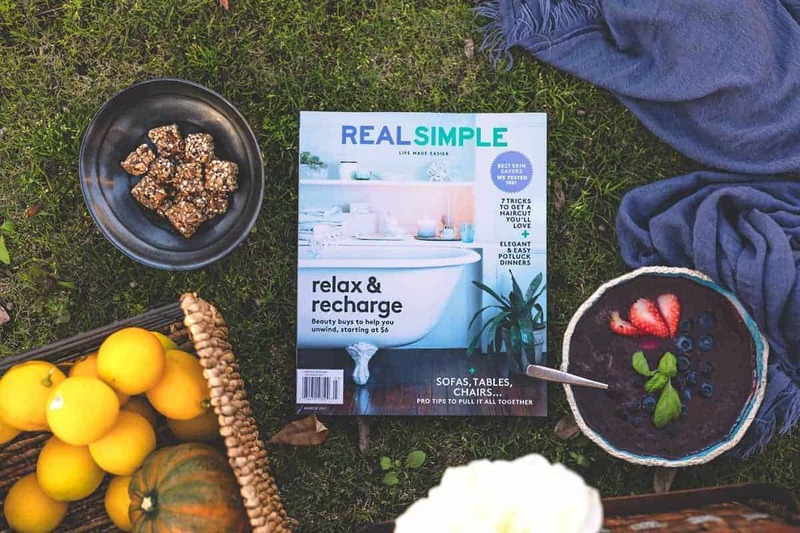 I love Real Simple! Magazines are such a great way to have me time, for sure. It’s so easy to pick up a magazine and get lost for a little bit. I get some magazines in the mail but I haven’t seen one of these. I’ll have to check it out because it’s one I’m sure I’d enjoy. I’ve never heard of this magazine, but it’s definitely something I’d love to read. Thanks for bringing it to my attention! I have read it a few times. They really have some beautiful features in there and lots of ideas. Most I can’t do on my budget, but it is fun to dream. I don’t think I’ve ever heard of Real Simple magazine before, but looks like it would be an interesting read! This is one of my favorite magazines to read! Love all of the tips and tricks they always provide! I’ve had a subscription to Real Simple magazine for years. I always enjoy reading the tips and advice they provide. I love magazines like Real Simple. I’ll check out our local bookstore here if they have that.